If your migraines seem to be tied to your menstrual cycle, than what will happen when you enter perimenopause? If you are like me, you are probably afraid. Could they get worse? According to research, that shift in hormones may end up playing a huge role in changing your migraine cycle, but whether it will get better or worse is unpredictable — each case is different. 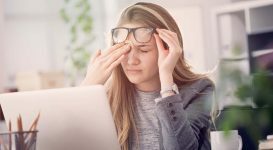 Migraines are often connected to fluctuations in estrogen for 70 percent of the 28 million Americans who suffer from migraines — otherwise known as women. One study found that at least 90 percent of people with migraine start having attacks before the age of 40. Most people have their first attack during their teens or early twenties — it is actually rare for migraine to begin later in life. My migraines began after my first child was born in my 20s. Now, at 48, they have become more frequent, and honestly, I really worry what perimenopause will do. Your attacks and pain may become less severe and frequent, and may even disappear around the age of 50 as estrogen levels stop fluctuating. This is often associated with the drop in hormones that occurs with menopause, though some would argue it is simply a less stressful, more restful period of life. Or, you may find your migraine attacks are linked to your periods during perimenopause. During perimenopause, ovaries produce less estrogen and changes in your hormone levels can make your migraine attacks become more severe or happen more often. Unfortunately, for some of us, it will get worse before it gets better. Some studies found that menopause makes migraine worse for up to 45 percent of women, but 15 percent noticed an improvement in their pain and frequency. Another study found as many as 60 percent of women actually experienced worsening migraine symptoms during perimenopause. Also, the problems that can be experienced as you enter perimenopause (hot flashes and night sweats) can also cause disturbed sleep, which adds to your stress levels and can increase the likelihood of triggering more migraine attacks. But there are other reasons migraines may continue even after your periods have stopped. Experts say the monthly hormonal cycle women go through throughout their adult lives can continue for some years after the last menstrual period. 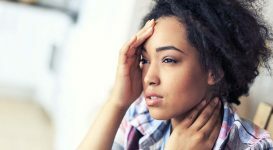 So, even though the hormone changes are not sufficient to result in a full menstruation, you may still be ovulating and it can still cause a migraine. But, if the residual hormone levels are the trigger, take comfort in the fact that this level should settle and drop off within two to five years after entering menopause. Knowing perimenopause can either help or agitate your migraines will get you prepared for the unexpected, but there are things you can do to ease the transition. Begin by keeping a diary for a few months to document the link between your migraine, your periods and your perimenopausal symptoms. Take your diary with you to your doctor appointments and ask about the best course of action to manage your migraine and menopause. Hormone replacement therapy (HRT). 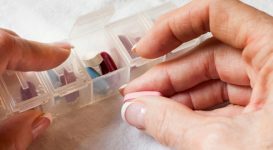 HRT is given to women to treat symptoms such as hot flashes and night sweats, but there is not a lot of research as to whether it helps with hormone-triggered migraine in women. Essentially, it can help some women, but may aggravate it for others. Exercise and diet. Often, simply taking better care of yourself is what your body needs to ease the frequency of migraines. 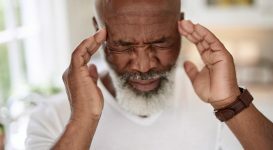 Regular, gentle exercise and a healthy diet can work to protect you from heart disease and osteoporosis, but also make those attacks of migraine less intense. Medication for migraine. Medications can prevent migraines from occurring (magnesium, aspirin, triptans, ergots, and hormone therapy) or stop a migraine that has already begun (triptans and nonsteroidal anti-inflammatory drugs). Herbal medicines. There are a number of alternative treatments available to help relieve menopausal symptoms, as well as natural remedies for migraines. 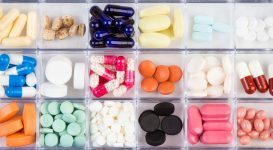 Speak to your doctor and herbalist first before mixing any prescription medications with herbal medicines, since they can have side effects and may interact with each other adversely. You might also like...Can You Still Exercise With Migraine? Agnus castus. Believed to settle hormone fluctuations. Red clover. Can be helpful for flushes and sweats. Evening primrose. Thought to ease breast pain, mood swings and in some women, hot flashes. But, it can have side effects including headache, skin rashes and nausea, so not a first choice to try for migraine sufferers. As a migraine sufferer, you probably know it is wise to greet any new possible trigger with a plan of action. 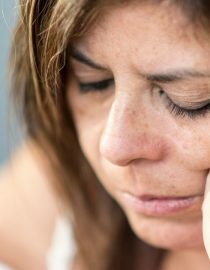 Perimenopause is one of those possible triggers. Get plenty of rest, keep a diary of symptoms, eat healthy, get exercise, and talk to your doctor about what might work best if you find migraines are getting worse, not better after age 50.